Over the past few years over 50 projects have been brought to life in the local and university community by talented and passionate students. Here are a few examples. In 2016/17, Occupational Therapy student Anna Michell teamed up with FarmAbilty and held willow weaving workshops for adults with autism or learning disabilities (co-farmers). The final products were included in the ArtWeeks Exhibition. “A new activity achieved so well! In the longer term, it will become a regular winter activity, we had interest from people who attended the exhibition wanting us to make things for them, this gives further opportunities for co-farmers to engage in a meaningful activity for others, and gain recognition for their work. Jo Morris was awarded funding to plant a kitchen garden at the Special Educational Needs school Chiltern Wood School, Buckingham in 2016/17. The children used produce from the garden to have cooking lessons. “The children are enjoying watching and eating the fruits of their labour (especially the strawberries). The impact of the donation is clear to see – the outdoor area (previously tired and slightly unloved) has a new lease of life and has provided inspiration to the pupils. A group of students ran six Zine workshops for adults with learning disabilities over the summer of 2017. 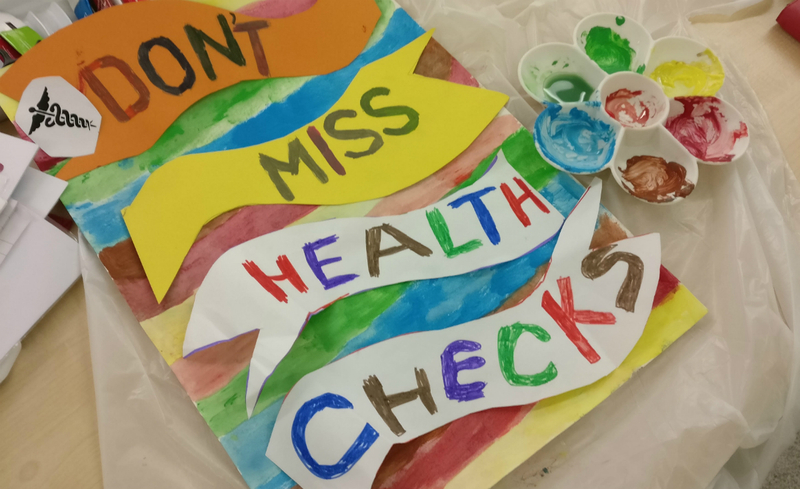 Art and crafts workshops for adults with mental health needs. A breakfast club in a homeless hostel - part-run by the residents, boosting their skills and confidence. Climbing Wall - weekly sessions for pupils, many of them special needs, from a local school, with some amazing and unexpected outcomes! A wheelchair basketball club to allow people both with and without disabilities to take part together. Healthy eating classes for students, to equip them to prepare healthy, affordable meals and increase their confidence in the kitchen.